Our staff and tenants at our corporate office in Incline Village, NV love this time of the year for so many reasons. From the endless music festivals, art fairs, and fun in the sun, you’d think we would have more than enough options to keep our friends and visitors to the reason busy 24/7. 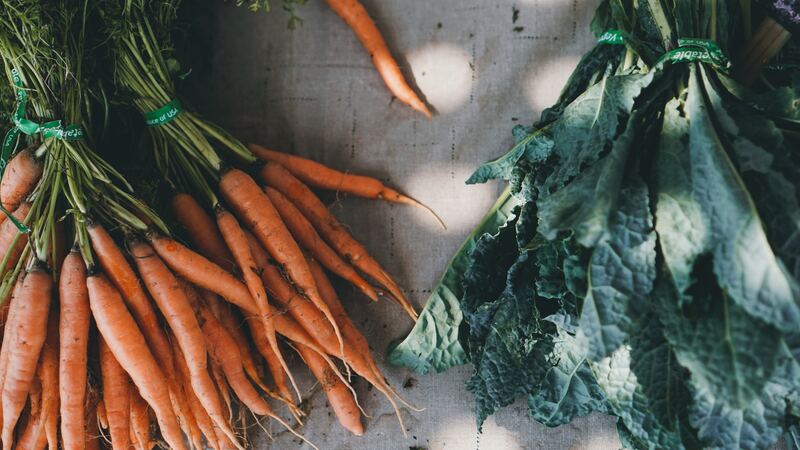 And then comes along the annual salute to the summer when Farmer’s Markets overflow with some of the tastiest treats from our regional farms in the Sierra Foothills and Carson Valley. Pair their colorful selection of fruits and vegetables and pasture-raised meats with the creative artwork that is all original and homemade, and a weekly stop to our favorite Farmer’s Markets is a must-do throughout the summer months and into the fall. There’s such a selection we thought we would share a list of the Farmer’s Markets in the Lake Tahoe, Truckee and Carson regions with you. The El Dorado County Certified Farmer's Market Association organizes five Farmer’s Markets in the area. The closest to our commercial office space on Tahoe’s North Shore is a very scenic 30-minute drive to the South Shore. This one is classic in its own right as every booth is staffed by the farmer who dedicated his/her time to grown and sell their goods. It’s located at 2748 Lake Tahoe Boulevard and is open on Tuesdays from 8:00 a.m. – 1:00 p.m. through October 9th. The Truckee River Regional Park, which is located at 10500 Brockway Road, is another option on Tuesday and it, too, is a short scenic drive along Tahoe’s north shore – toward Truckee, CA. They plan on operating their Farmer’s’ Market through October 16th. Bring your grocery bags, and bathing suit too, to the Tahoe City Farmers Market which is located at the Commons Beach Park. It’s worth the 30-minute drive along Tahoe’s North Shore as once you park, there are over 20 booths that offer everything you would expect from a summer Farmer’s Market in Tahoe. Come early (it runs from 8:00 a.m. – 1:00 p.m.) and stay for a long and sunny day on the beach! Through October 11th. Truckee Community Farmers Market is worth a trip every week. In addition to everything that you’d expect from an event like this, we plan our menus ahead. Here’s why: the selection of pasture-raised pork, beef, lamb, sausage, and bacon is the finest we have seen in quite some time. Be sure to stop in and do some wine tasting while complimenting your main course with some of the best fruits and vegetables of the season! It’s every Sunday through September 30th and located at 12407 Donner Pass Road in Truckee, CA from 9:00 a.m. to 1:00 p.m.